AAA 4 Diamond luxury Boutique Hotel located in Harbor Town. Providing Luxury Rooms with River views, Paulette's Fine Dining Restaurant, Terrace Restaurant, and Tug's Casual Bar and Grill. We also offer Meeting and Banquet Space in our River Hall which offers panoramic views of the Mississippi which can't be found anywhere else in Memphis. River Inn is the perfect place for a memorial event whether it is a wedding, baby shower, corporate retreat or birthday party! For our corporate guests we offer meeting rooms or board rooms for your executive retreat. River Inn is an ideal setting for small business meetings, retreats, wedding, anniversary, receptions, or birthday celebrations. The Inn features: • 3 Meeting Rooms including the elegant Belle Memphis conference room and two other functional rooms. • Audio/Visual equipment and access to high-speed Internet. • The Terrace is perfect for non-private cocktail and small plate gatherings in the evening. • The Private Dining Room in Paulette's, the gourmet restaurant provides additional meeting space for larger occasions, with the capacity to seat 10 to 65. • The River Hall also has the Courtyard which can accommodate up to 120 guest seated and can hold a tent for weather protection. Rates: Rental fees starting at $100.00 Food & Beverage minimums starting at $600.00 Please visit our website for more details. River Inn is an ideal setting for small business meetings, retreats and seminars. The Inn houses three meeting rooms, including the elegant Belle Memphis conference room and two generous function rooms with audio/visual equipment and access to high-speed Internet. The Terrace, which can be open or closed according to the weather, is perfect for non-private cocktail and small plate gatherings in the evening. It's available at lunch time for private meetings, banquets, and parties. The view is spectacular. In addition to the luxurious guest rooms and suites, the variety of amenities available at River Inn serves as full dress for any occasion.From gourmet cuisine to a casual fare, the seating in the three restaurants and River Hall Banquet Hall can be customized to your specific needs and will comfortably accommodate from 10 to 65, for breakfast, luncheon, or dinner events.The River Hall also has the Courtyard which can accommodate up to 120 guest seated and can hold a tent for weather protection. Rates: Food & Beverage minimums starting at $600 per event. Please visit our website for more details. The Belle Memphis Room is our private board room located on the 2nd floor of the hotel. It is perfect for up to 12 guests that would like to work in secluded silence. The Belle Memphis room comes with its own projector, roll-down screen and whiteboard wall. Located in Paulette's Restaurant, the Harbor Square room can seat up to 40 people comfortably. Perfect for a rehearsal dinner or an executive dinner, the Harbor Square room also comes with a roll-down screen in case your group needs to display a slideshow. 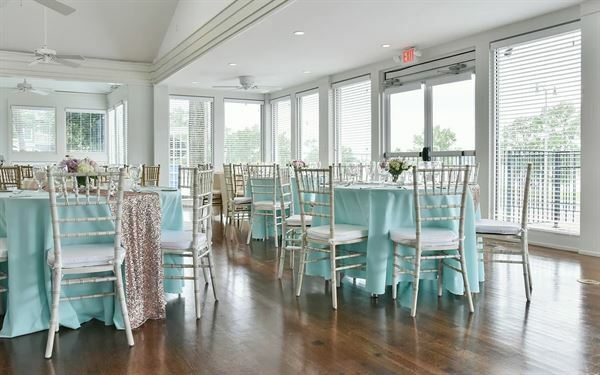 The Riverview Room is the perfect spot for that bridesmaids brunch or graduation luncheon. It seats up to 25 people comfortably and overlooks the Mississippi river from within Paulette's Restaurant. Available for luncheon parties ending by 3 p.m. The River Hall & Courtyard is the separate clubhouse building that overlooks the Mississippi River with unmatched views to anything else in downtown Memphis. With its new renovations it can seat up to 85 people comfortably. The Courtyard is the perfect setting to hold your ceremony with the Mississippi River as your background and then convert the Courtyard for your reception area. Stayed here 2 nights for our son's Mphs. wedding. The staff was super friendly, the gratis breakfast at Paulette's was excellent and the view looks like an enclave out of a resort. Made me appreciate this hidden jewel that many who visit Memphis may not know about. I highly recommend and plan to return with my husband for a "just because" stay.